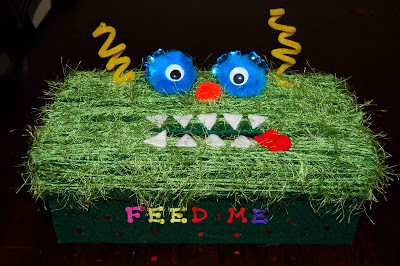 I am so excited to show you my Valentine’s Monster Box today. I made some for my boys a couple years ago (which we still use each year) and decided it was time to make one for Lila this year. 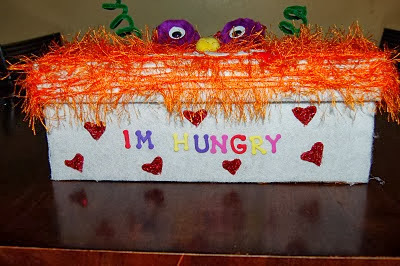 Here are pictures of my boys Valentine’s Monster Boxes. 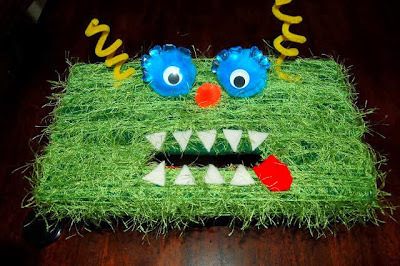 I started out with an empty shoe box, cut a rectangle hole in the top for the mouth, and then completely covered the outside of it with felt. 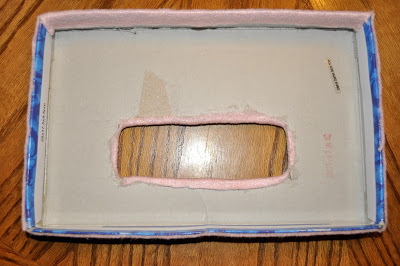 I used a gluegun to attach the felt to the box. Here is the underside of my lid. 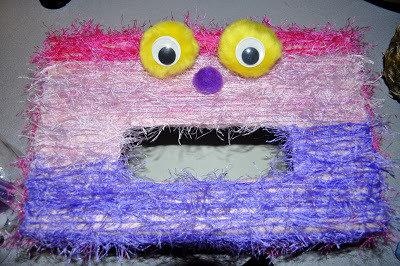 I wrapped my felt underneath the mouth and glued it so you couldn’t see any edges of the box peeking through. 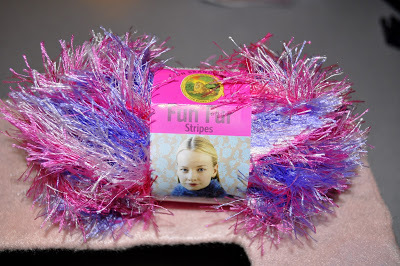 To make the fur on the monster you will need to buy a roll of Fun Fur. I got mine at Walmart in the yarn section but I’ve seen it at other craft stores too. They have lots of different colors to choose from. I picked a striped pattern for my daughter’s box. 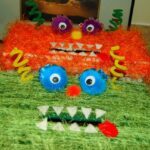 I used a glue gun to attach the Fun Fur to the box. 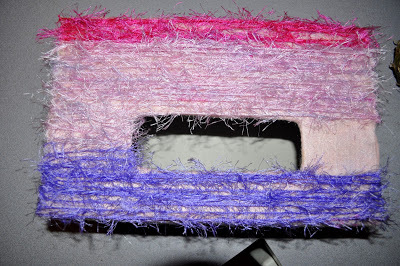 I wrapped my Fun Fur over the top of the box, while adding a dab of glue at each end as I wrapped it. 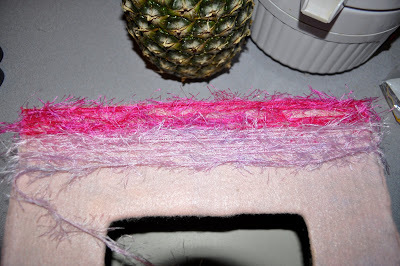 After I had made several rows, I lifted up the Fun Fur and put a line of glue down on the felt underneath it to hold it in place more. I usually put a row of glue in the middle and one on each end. Hope that makes sense. 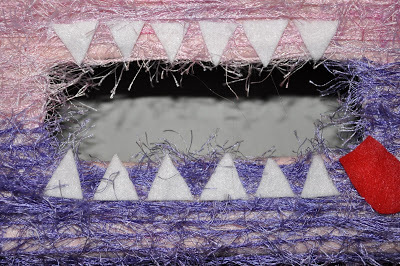 When you get to the opening in the mouth, go ahead and keep wrapping the Fun Fur along the left side of the mouth and down the rest of the box, and then go back and do the right side of the mouth. You can see in the picture below what I mean. 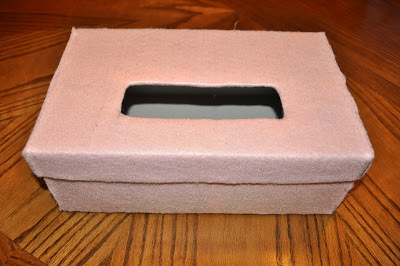 After putting Fun Fur over the top of the box, I went around each side of the lid and did the same thing. After you are done adding the Fun Fur, it is time to add all the Monster features. I started with the eyes. 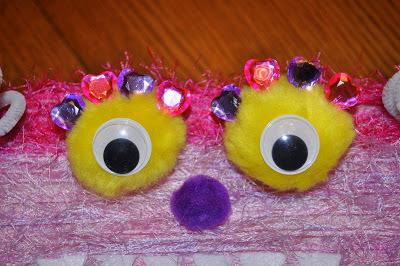 Glue down 2 extra large pom-poms for the eyes with a large googly eye in each. Then add a medium sized pom-pom for the nose. 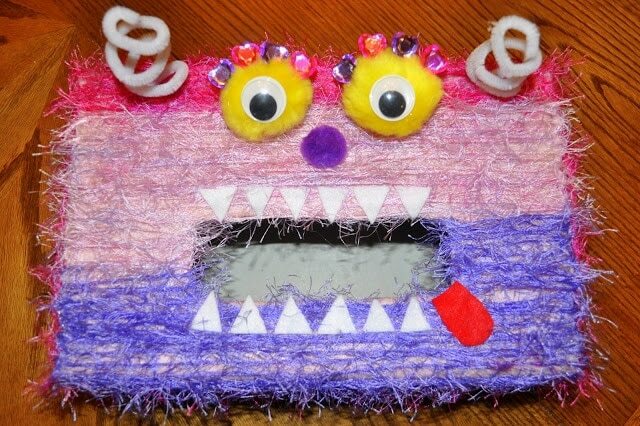 I have to say that my most favorite feature of this Monster box is definitely the jeweled eyelashes. Aren’t they adorable???!! LOL Craftprojectideas has the cutest package of Heart Acrylic Jewels at Walmart and that is what I used. For my boys’ boxes I used the same exact jewels, but Luke’s had flower jewels instead of hearts. I simply hot glued the jewels along the top of the eyes to make eyelashes. 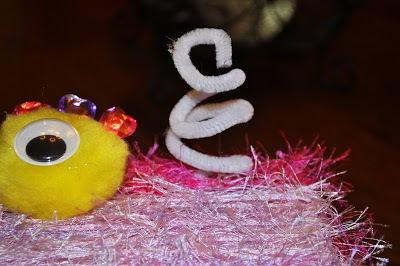 I also curled two pipecleaners around two fingers and then glued them on the side of the eyes to make fun antennae. Then I cut out teeth and a tongue out of white and red felt and glued them around the Monster’s mouth. 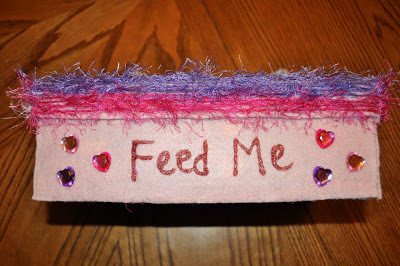 To finish the box I used glitter glue to write “Feed Me” on the front of the box and glued on some more heart jewels. On the boys’ boxes I used foam stickers but I didn’t have any so I improvised. On Luke’s it said “I’m Hungry” instead of “Feed Me”. These boxes have held up sooooo good! This will be our third year using my boys’. We usually have to form the antennae again, but other than that, they are like new. And did I mention how much my kids LOVE them?!! They are so cute! What a fun and creative idea!! My kids will love it. This is my first blog hop…what a great idea. I am your new follower this evening…I'm a new blogger and would love for you to follow me back! what a fun idea! they are great. shared the link at my fb page. 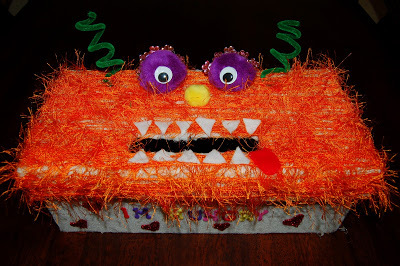 You are right, these monster Valentine's boxes are simply adorable. I LOVE how you covered them in felt first. You are brilliant. Seriously, love it! I am pinning this right now. 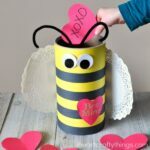 I finally got my "All Things Wonderful Link Party" up and going and I would love for you to link this cute craft or one of your other awesome posts to it. So cute, Rachel!! Thank you for sharing them at Sharing Saturday! I love them! love this!! I never saw anything like this before…great idea!! AWW! They are soo cute! Thank you for sharing them @ TwoSasters!